Foxlake Adventures, a returning customer of SIS, received a £440,000 loan to help extend the lake and build their over-water rope course. 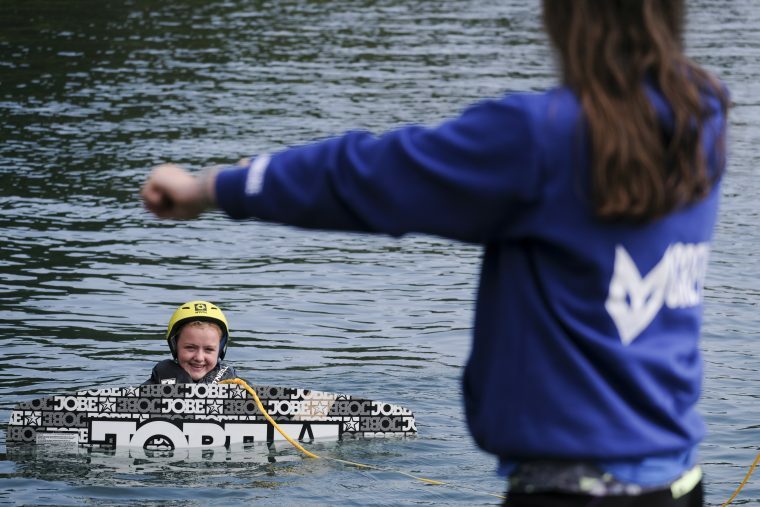 Foxlake Adventures (Foxlake) is Scotland’s first cable wakeboarding park along with the UK’s only ropes course constructed over water. Based in the heart of East Lothian (although they now also have a base in Dundee), Foxlake is nestled in a beautiful woodland on the edge of John Muir Way. They have been on an amazing journey and have used innovative ways of working to allow for a sustainable business and dynamic culture. Initially, Foxlake looked to offer their services to as many communities as possible, presenting the opportunity to try new experiences and grow in confidence. Now, however, they have a more focused approach to creating social impact. Realising that their extensive and practical staff training programme would work well in education, Foxlake has built up a strong relationship with Castlebrae Community High School in Edinburgh. The Junior Adventure Leader programme, created by Foxlake, has been built into the pupils’ curriculum and is now SQA accredited; meaning the children can gain valuable points as well as practical skills and great memories. Since its founding in 2012, the demand for Foxlake has been continually increasing. At first, operations were running on a much smaller lake with five staff and the capacity for eight users per hour. This capacity was struggling to cope with demand. In 2013, Foxlake began their relationship with SIS and took out a loan to help extend the lake and build their over-water rope course, FoxFalls. The extension and addition of FoxFalls have allowed Foxlake to become more recognised, more appealing and create a wider impact. The Foxlake team labels the loan from SIS as a huge catalyst for the organisation’s accelerated growth. The SIS approach of being more personable made all the difference in securing the finance, which without, they would not have been able to excel as they have. Foxlake has developed since its founding and has seen a significant increase in visitor numbers. The company now has 45 members of staff and the capacity for 50 people per hour. They are an award-winning social enterprise, having won awards for customer service and from Visit Scotland. So, if you’re looking for a fun and challenging outdoor adventure, be sure to check out Foxlake.